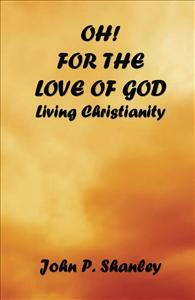 Living Christianity means loving God and loving neighbor, FOR THE LOVE OF GOD. “On these two commandments the whole law is based, and the prophets as well.” Love begets salvation! Christianity is based on the Bible: the Old Testament where God revealed himself to the Israelites and promised a Messiah who would redeem humanity from the scourge of sin; and the New Testament where Christ revealed himself as that Messiah. Living Christianity is the following of Christ and obeying the two commandments that he proclaimed as required for salvation; love of God and love of neighbor. This book discusses all levels of spirituality from just barely staying in the state of grace to perfect prayer achieved by some mystics, resulting in complete union with Christ. It’s all about love.